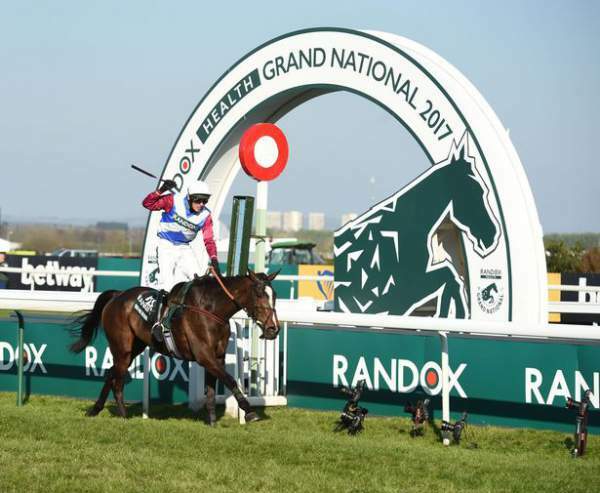 Grand National 2017 Results & Winner: Derek Fox won this year’s horse racing competition and registered his name in the history books. He, the Irish Jockey, steered the One For Arthur to the victory at Aintree. The Scottish trainer winner came out after a gap of 38 years when the Rubstic won in 1979 as Lucinda Russell won at that time. After the grand victory, Russell said, “That was an amazing race. The total credit goes to Derek as he never panicked throughout the contest.” Cause of Causes became the second to cross the finish line while Saint Are finished third and Blaklion Back finished fourth followed by Gas Line Boy who came out fifth. Two Gold Widows owns the One For Arthur and they are – Deborah Thomson and Belinda McClung. They were left surprised and couldn’t believe that their horse has won the competition. They said that they were left in disbelief after watching their horse actually won the race. McClung added: “I thought this morning, it’s baking hot so there’s no pressure now, he’s not going to win on that ground but I have to say he’s just shown his class today. He’s amazing and he got a great ride. In the meantime, Fountains Windfall started the race with victory in the Gaskells Handicap Hurdle on Saturday. Oscar of Finian lived up to its name in the Betway Mersey Novices’ Hurdle and won the race. San Benedeto triumphed in the Doom Bar Maghull Novices Hurdle before Sizing Codelco was victorious in the Betway Handicap Chase. Yanworth then won the Ryanair Stayers Liverpool Hurdle before 40 horses set off for the Grand National race. Stay tuned to The Reporter-Times for latest sports news and other updates around the world. What are your views and thoughts about it? Feel free to share via commenting in the section. Previous articleCall of Duty 2017 News & Updates: Mobile Game Developed By A New Developer? Next articleWho Is Derek Fox, The Grand National 2017 Winner (One For Arthur)?